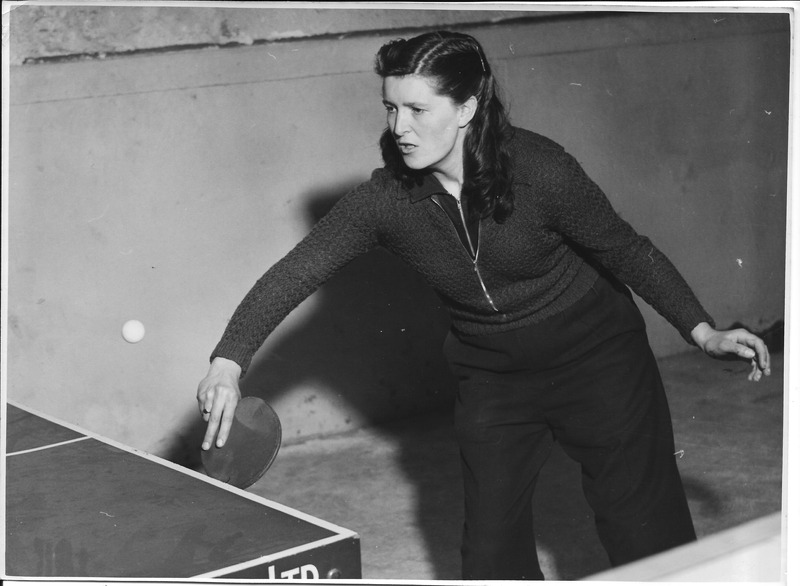 My mother, Enid Dinnis was very good at Table Tennis. A lot better than I realised actually. 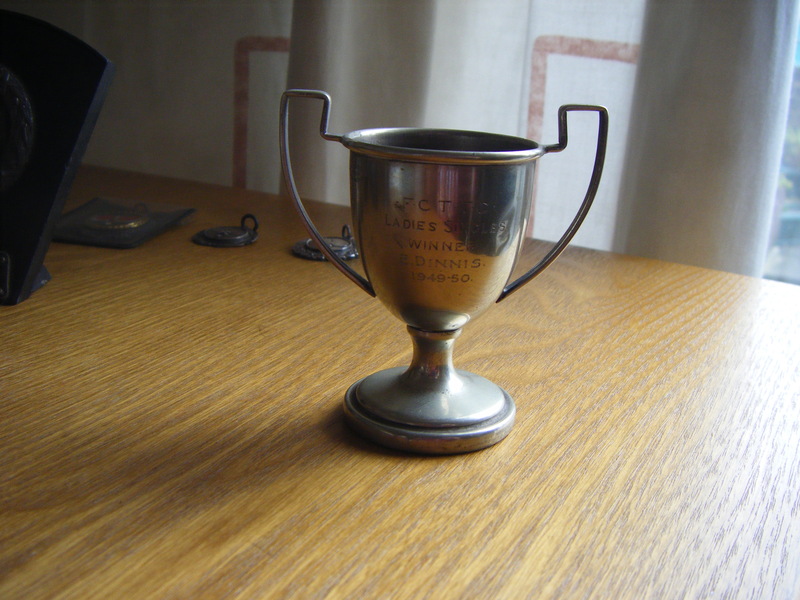 Recently I’ve been going through boxes, bags and drawers full of newspaper cuttings and memories and I came across a box full of cups, shields and medals that had been won playing Table Tennis. I had expected them all to belong to my father, but the majority of them were in fact won by my mother. 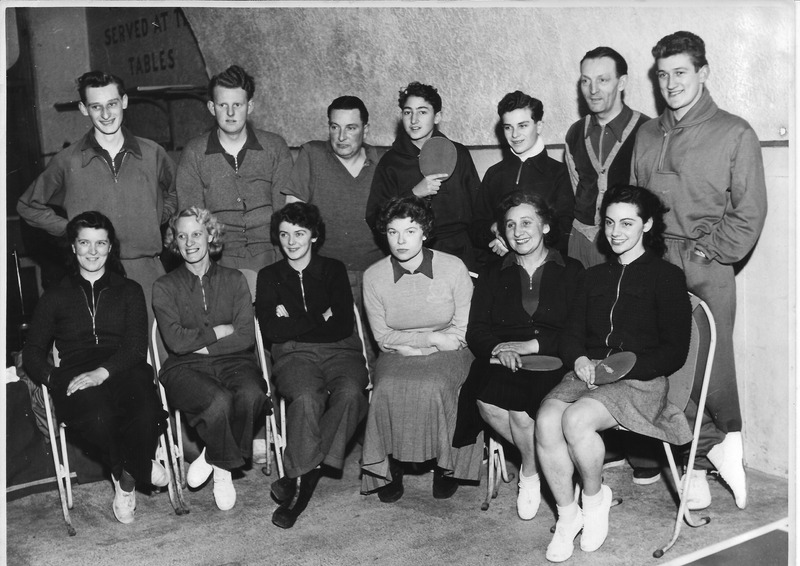 I have added images of them below, there is a newspaper clipping about Enid taking part in the ladies doubles in either 1951-52 or 1952-53. 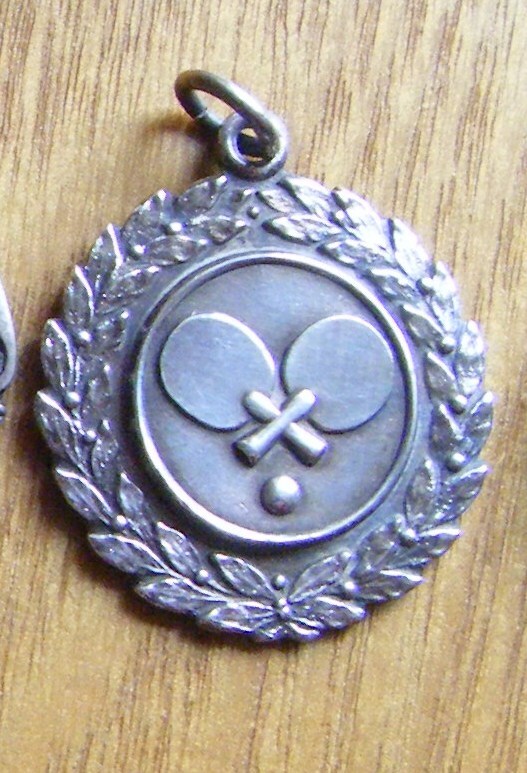 The two pictures of the medals are from those years, she reached the finals of the ladies doubles in both of those years. 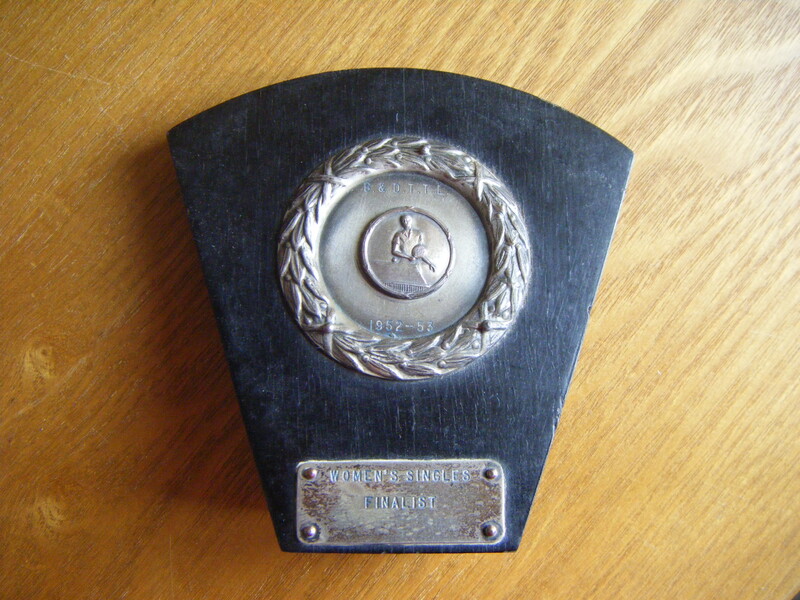 The shield is from 1952-53 when Enid was a women’s singles finalist in the Brighton & District Table Tennis League. 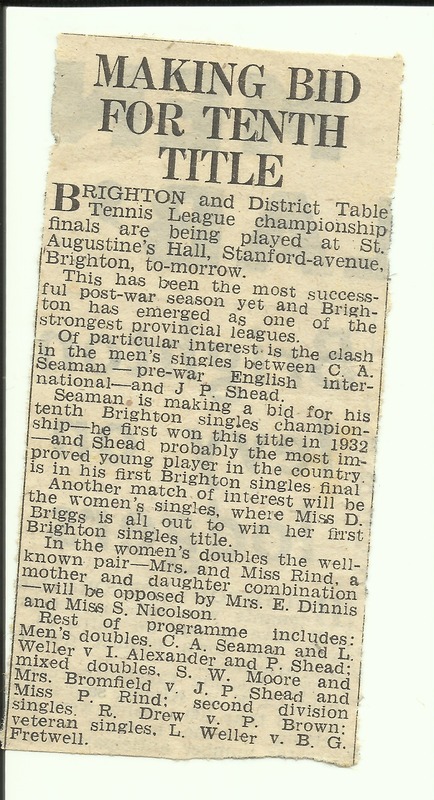 The smaller cup is from 1949-50 when Enid won the Ladies Singles Friends Centre Table Tennis Club competition. 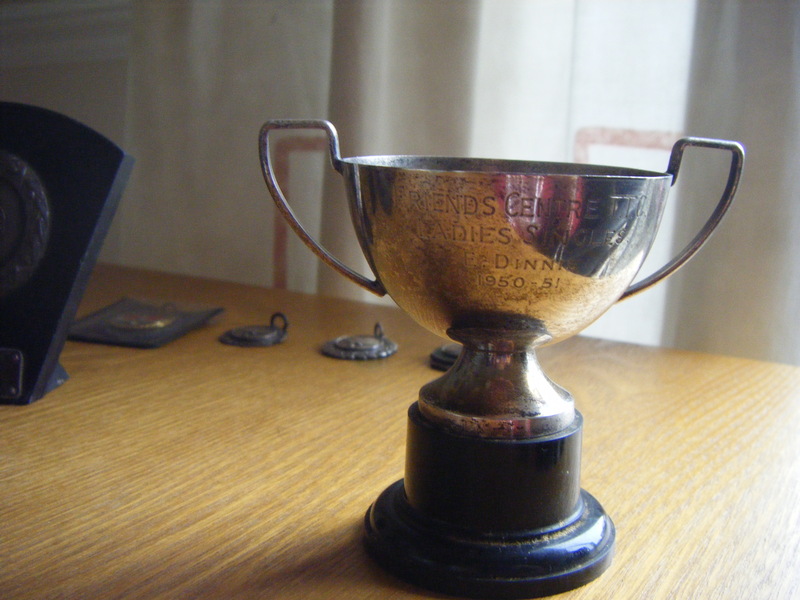 And the larger cup is from the following year 1950-51 in the same competition when Enid reached the final of the Ladies Singles. 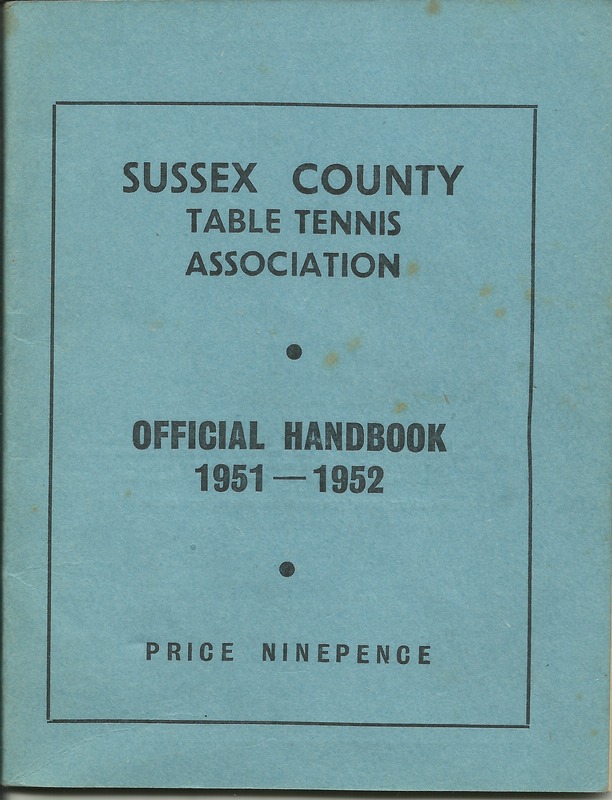 Gallery | This entry was posted in Enid May Howells, SPORT, Table tennis and tagged Brighton, Family History, History, Table Tennis. Bookmark the permalink. 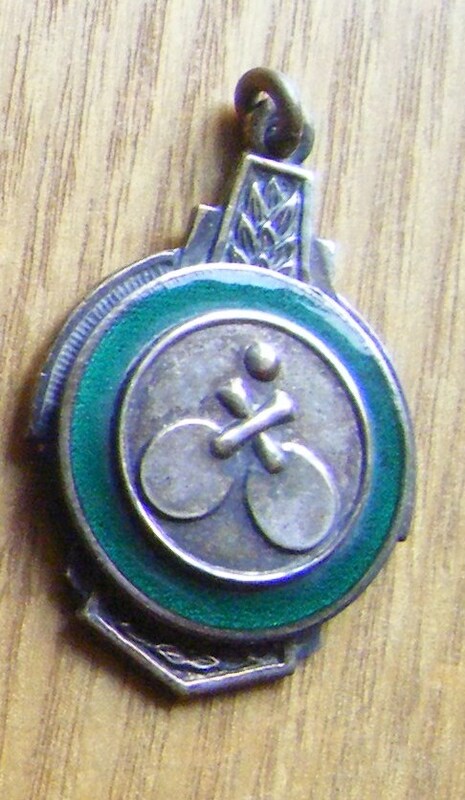 Hi 🙂 Found you via the A-Z and I love your blog, such a fab idea. When I started scrapbooking I was given a box full of old photos, 1920’s on, and I really need to spend time with one of my older relatives and find out who they are. So thank you, you’ve reminded me of something to do I can’t keep putting off.